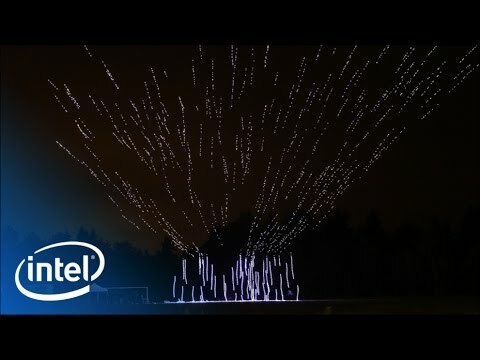 Intel is not new to breaking world records for the most drones flown by a single operator, but they’ve drastically outdone themselves this time, creating a system that allows one pilot to control 500 drones. The official world record flight took place in Germany, with the new system putting a new type of drone into the air. 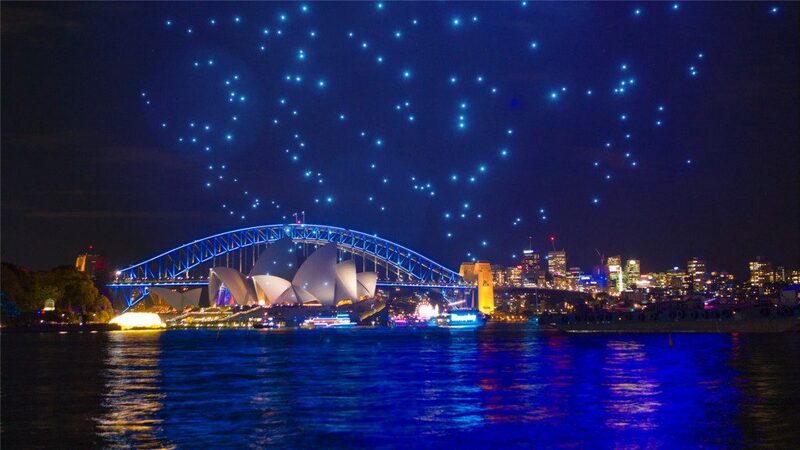 Theatrics ensued, as five hundred drones created animated images and emulated twinkling stars in the night sky for the onlooking crowd and Guinness Book of World Records judges. The new drone is called the Shooting Star, a mainly styrofoam quadcopter equipped with little more than a full RGB spectrum LED light. By itself, Shooting Star is pretty simple, but at 500 strong the aerial acrobatics appear overwhelming, at least from a piloting perspective. The magic to it all is not found in proven features like Intel’s advanced collision avoidance camera technology, as is found on their Falcon 8+ drone. Instead, the pilot is backed by a powerful computer system that carefully orchestrates the flight of each drone according to the pilot’s design. The package allows for fast 3D mapping flight outlines, truly orchestrating the overall symphony in the air. It doesn’t hurt that each Shooting Star drone has a cage around each propeller, all but eliminating tangle ups for the inevitable mid-air collisions. Before you get your hopes up of flying your own fleet of drones, Intel had to get special permission from the FAA to operate on this scale. Current regulation limits a pilot to far fewer than 500 drones under control simultaneously, in-fact, the regulation is for one drone, but Intel was approved for a Section 333 exemption to prove their concept in the skies. Also, Intel does not appear to have any plans for a consumer release of either the Shooting Star drone – capable of flying up to 22 mph and in light rain – or the fancy controlling system behind it. Instead, we expect to see commercial applications used with a license for the technology – perhaps your next flight will consist of a handful of drones performing a quick visual check of your aircraft, sweeping over an airplane while trained inspectors watch for defects of the craft. For now, the resulting video of the record breaking flight is fun to watch, check it out and let us know what you would use this setup of hundreds of drones to do?